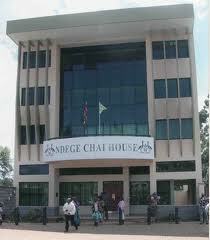 Ndege Chai Sacco is a world class Sacco that was established and registered in the year 1978. Membership is drawn from employees of Finlays countrywide, Kericho, Nairobi, Mombasa, homegrown in Naivasha and lemotit farm in londiani. • A ll Bosa loans run at 14% p.a on reducing balance. • Processing and appraisal by loan officer. • A pproval by credit committee. • Advice to E/F/Ds for recoveries. • Important – All loan application forms should be forwarded through the mail van. All loans are approved at three (3) times shares of the member, subject to net income. • 5 0% rule of the net income is strictly followed. • Proper supporting document is required for emergency loans. • Guarantor's name,ID number and signature must be filled correctly. • Guarantors must be sufficient to cover the loan applied. • Loans are paid less insurance at the rate of 1.2% of the total loan approved.e.g for a loan of kshs 10,000 insurance cost is kshs 120, hence net amount to be paid is kshs 9,880. • Emergency loans are approved every week.